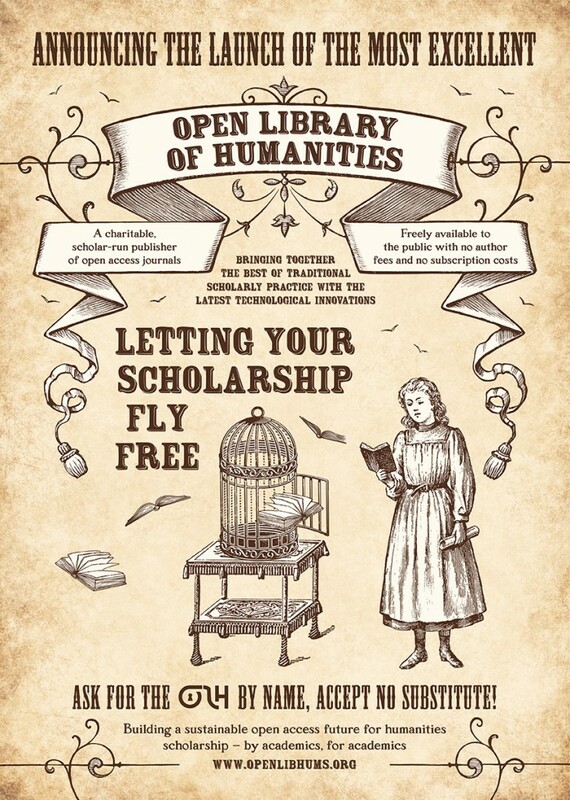 We are delighted to launch the first in a series of OLH posters. Designed by acclaimed publishing graphic designer, Becky Chilcott, the series celebrates the launch of the Open Library of Humanities. 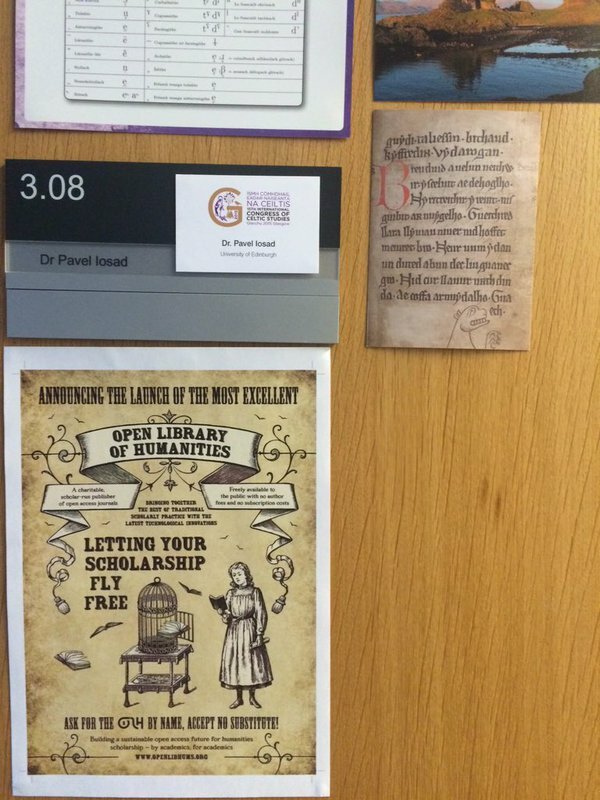 We will be releasing posters throughout 2016 and 2017, each of which is dedicated to a different historical period and style which pays tribute to the range of humanities scholarship that the OLH publishes in its journals. 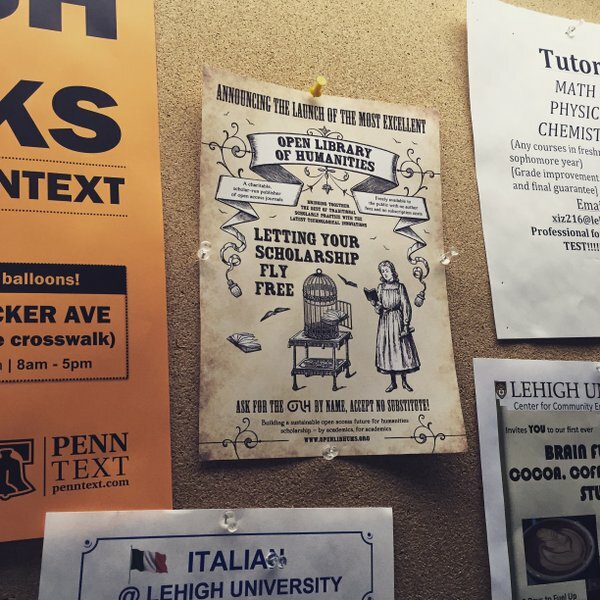 Our first in the series, the Victorian Poster, follows the recent anniversary publication of our journal 19: Interdisciplinary Studies in the Long Nineteenth Century. Celebrating its 10th year, this bumper issue of 19 features 18 articles as well as two editorials, that examine the possibilities of the nineteenth-century archive in the digital era. We would like to send the Victorian Poster out into the world – and we warmly encourage you to download, share, print off, and put up this poster wherever you feel it might be appropriate! To access the web and print files of the poster, please click below. 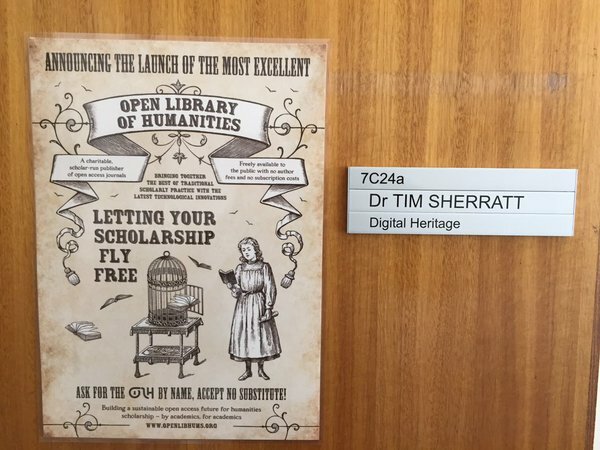 Thank you to everyone who has shared the Victorian Poster so far – and bonus points to those of you who have sent us pictures of the poster in your departments and on your office doors. Keep them coming! 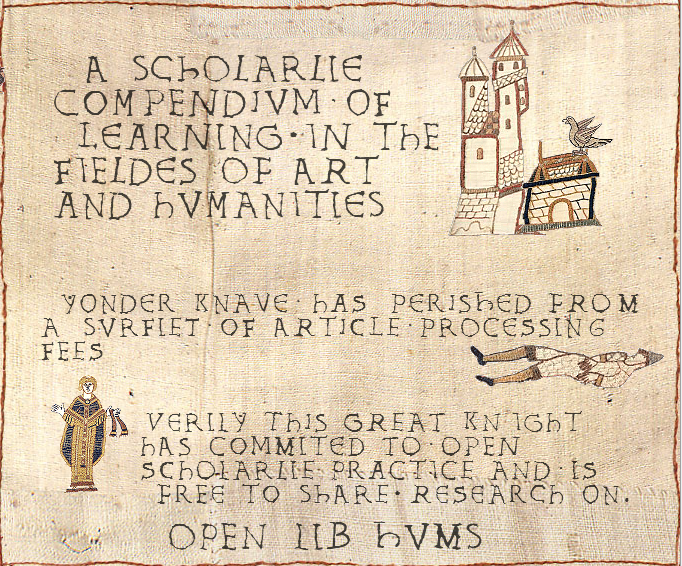 And a huge thank you to David Kernohan who generated his own medieval tapestry poster for the OLH!